Russian figure skating star Alina Zagitova, in an exclusive interview after her PyeongChang triumph, tells RT she hasn’t yet fully realized she’s an Olympic champion and that she plans to delight her fans for many more seasons. RT: Alina, thank you very much for this opportunity, it is a great honor. You're 15 and you're an Olympic champion. Honestly, what's on your mind? 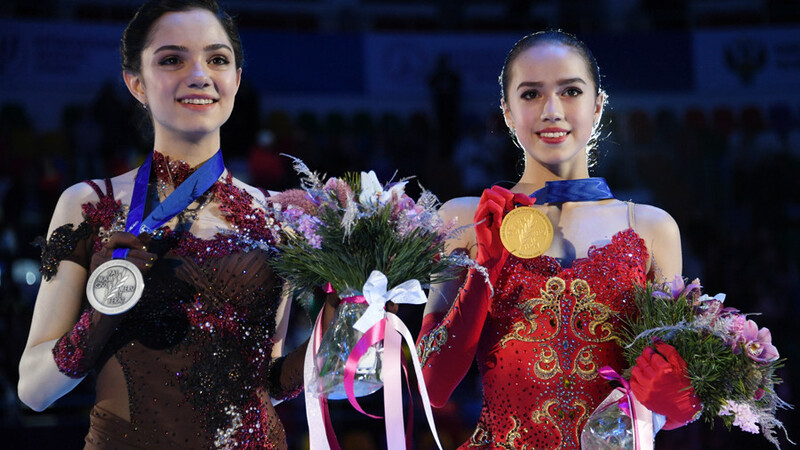 Alina Zagitova: The most important thing to me has been to just make sure that everyone, my coaches, the audience and myself are satisfied. What's on my mind? I'm thinking about the next season, and new tournaments. I'm thinking of some things that maybe I should change. RT: And that's all? So, you're thinking about figure skating and nothing else? AZ: Right now, I just can't think of other things. RT: Do you feel ok when people talk about your age? Because this is something everyone is really emphatic about, but my understanding is that you get the same treatment as everyone else when training and you train just like your teammates who are older, is that right? 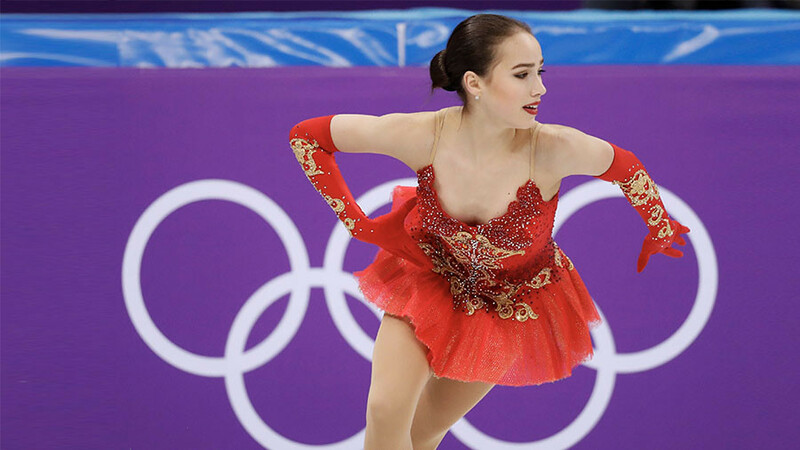 AZ: Yes, we all get the same treatment, the same requirements, and coaches give everyone absolutely the same amount of work and attention – to myself, to Evgenia [Medvedeva] and others. AZ: Yes, it's ok. I don't really think much of it. RT: Cool then. Let me ask you how you were prepping for the Olympics, because, if I understand it right, there have been many cases when – again – a very young age was a factor that led to additional stress in young athletes and affected their performance. AZ: Well, my strategy now is to just to continue skating very carefully to avoid mistakes, and I want to keep figure skating as long as I can. RT: And what did you do to help yourself avoid making any mistakes now and win the gold? AZ: I was very calm. I just tried not to be distracted by the attention from the media and the audience, and not to think much about the fact that this is the Olympics. I tried to think of it as a regular competition, just like any other, that’s the mood I was trying to keep up. RT: And who taught you how to do this, to stay out of things? AZ: I just made some conclusions based on my experience, even though it's not that big yet. RT: After her performance, Evgenia seemed to have had an emotional reaction – she burst into tears, but then said that she never cries. You, on the other hand, seemed very calm, and, as you said it yourself, had only one tear. What did you do to stay so calm and composed? AZ: To be honest, I didn't have any tears, not even one. RT: Really? Maybe my mistake. AZ: Well, just a little, my eyes welled up a bit. But overall, it's probably just because of my character; I tend to keep emotions to myself. But when I come back home, I let them all out, and I share it all with my parents. RT: And what will it be like this time? I can't even imagine. AZ: I don't know yet. I'm still away from home. I'll probably run and jump around happy. I really hope that by the time I get home it will kick in. RT: You mean to say that it really hasn't yet? And you haven't been running and jumping around? Honestly. AZ: Only on ice. I did my jumping there. RT: Oh yeah. So there was nothing like, maybe, back in your room, you just went like "I did it!" or texted someone a happy audio or video message? The people you talk to. AZ: Yes, my Mom and my Dad, and my Grandma, and my sister. I talk to them all. And of course I did feel happy, but I also understand that it all is just starting. RT: There's this interesting thing – that everyone was basically expecting Russia's first Olympic gold to be won in women's singles in figure skating. Did that put pressure on you? Because people expected it almost like a done deal, while the entire Olympic team hadn't won any gold medals yet. AZ: Again, as I said I wasn't thinking of these things. During the competitions I stay away from everyone and everything. I don't watch anything, only some TV series. RT: So you didn't watch other sports, weren't rooting for anyone here? AZ: I did get some glimpses of the competitions on TV on the bus that took us to the venue, and of course I did root for my team. But I didn't feel much pressure. And probably it helped me a bit. RT: What did you and Evgenia say to each other after the competition was over? AZ: I can't really tell you all of it. RT: Well maybe just a bit? AZ: Of course we said congratulations and some good words to each other. The rest is a secret. RT: All right. But what were those good words? Who talked first? How did it happen? AZ: I was waiting for Evgenia because her performance was the last one before the awards ceremony. First, she was waiting in the "kiss and cry" area. After her marks were announced, she ran to meet me. And I was waiting with my arms open to hug her. RT: There's so much attention on your relationship. And you say that you are rivals on ice but friends in life. RT: What do you do as friends? Besides training. AZ: We go out for a coffee, to Starbucks, for example. We hang out in social networks when we're not training. And in the breaks, too. If she opens to Instagram, I open Instagram to look up some funny videos. RT: And you share them? AZ: Yes, and we share them, and just have fun together. We're cool. RT: Ok, you're saying that you tried not to pay attention to anything in the media and just stay out of things. But you probably heard what the Americans said about your program. In particular, when after your free skate routine Ashley Wagner said ‘this is not a program, all the jumps are in the second part.’ Did you find out right away? Or you were told later? AZ: I saw it on Instagram. I can say that it only spurred me on to be stronger and made me want to prove that this is not true. But there's no proving anything to such people. She could try skating such a program at the Olympics and I'll be happy to watch her do it and I won't give the same reaction. RT: So you'll be above this? RT: But don't you think that it really gives an advantage to younger athletes because those who are older simply cannot do it anymore? AZ: It is true that figure skating is developing fast now. There is already another generation of athletes that's coming after me, and then one more, and then more and more. And that's not going to stop. And I probably will think the same of other athletes – because, for instance, in my training group, some girls are already doing quadruple jumps. But I will do my very best to stay in the game as long as I can. RT: Of course. But – to be honest, I heard it myself – that many reacted to her criticism pointing out that she didn't even make it to the Olympics so it wasn't really for her to speak. Would you agree with that? AZ: I think everyone can express their opinion. But perhaps not so rudely. RT: You already mentioned girls who do quadruple jumps. You are not scared of their competition, and my understanding is that you're not finishing your career any time soon. AZ: I'm not. I want to skate as long as possible, for many seasons to come. RT: And to skate in Beijing? AZ: I want to. Yes. RT: Perfect. Now a question about the flag. When IOC announced their decision to ban Russia from competing under the national flag, Evgenia was there at the IOC Executive Board meeting, defending the interests of Russian athletes. Where were you at the time and what was your reaction? RT: What press conference? You mean on February 25? RT: No, I mean the very first announcement, on December 5th. AZ: To be honest I don't remember, but most likely I was training. RT: But after you finished people must have told you, right? AZ: Yes. Well, it was a good thing that Evgenia was trying to defend our country and that they gave her a chance to speak, and that Mr. Bach ruled to let us compete at the Olympics. RT: Ok then, the last question. If we would have got the permission to carry the Russian flag at the closing ceremony, many fans said they wanted you and Evgenia to carry it together. Would you have done it? AZ: Of course I would. RT: Why? Two people carrying a flag is a bit unusual. AZ: It is a great responsibility. And a great joy. But, regrettably, it happened the way it happened. RT: And since we're winding up, you didn't give interviews until this one – and everyone is completely crazy over you. People have been rooting for you, they are calling you a hero. What would you like to say to all the fans, all of our country – to all of the world? AZ: I want to thank everyone for your support and your kind words. 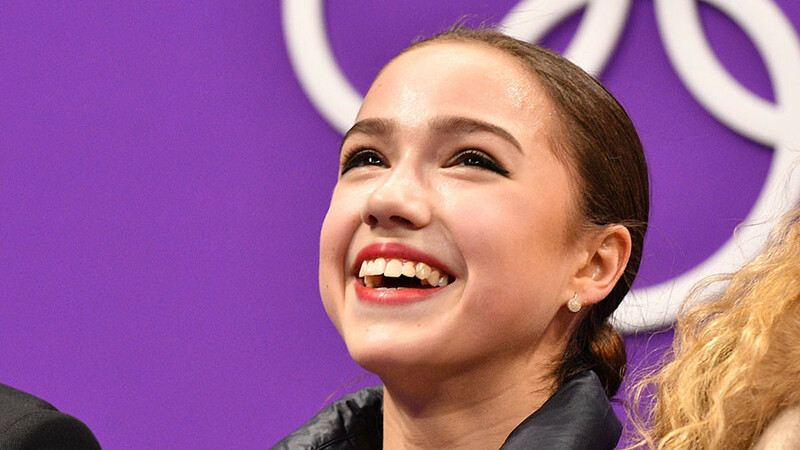 They inspire me, support me, and I'll do my very best to give you the very best of figure skating in the future and I hope that you'll root for me.